Homeschool Resources - What is Your Child's Learning Style? Have you ever gone over something repeatedly with your child, only to hear him cry in despair, "I just don't get it!" Have you seen your child look at flash cards with a blank stare? Does your child understand only after the instructions have been read out loud? Is your child constantly moving while you are trying to teach him? These signs (and many others) are all clues about your child's learning style. So how can knowing your child's learning style help you? I have found that knowing a child's learning style actually saves time and gains valuable learning that might otherwise be lost. If your child is having a hard time grasping something in school, it is very possible that he could understand it much better through his dominant learning style. I know it may sound like a bunch of hocus-pocus, but really it is very simple. God has given different people different styles of learning. He has set up each person to remember things a different way. As individuals, we are all a little different in how we learn, but studies have found that there are three major ways that people best store information in their memory. These divisions are grouped as auditory, visual, and kinesthetic/tactile. Unfortunately, children usually label themselves "dumb" because they have trouble understanding something. 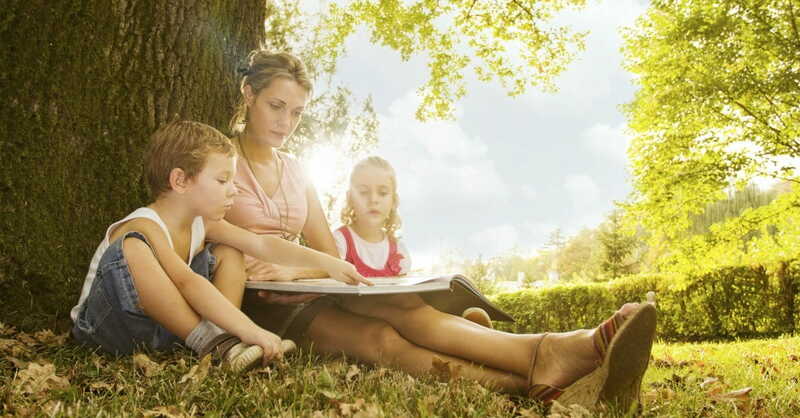 Therefore, knowing how your child learns best helps her succeed more often. So how do you find out your child's learning style? It is really simple . . . observe your child. What does he seem to like to do best? Why does he like that best? Notice his habits and behaviors. Take notes if you have to and compare all your observations with the following information. She repeats things out-loud to herself. He easily joins conversations that are in the same room even if he was not a part of the conversation. She remembers the words of songs easily. He talks to books when he is reading and movies when he is watching. She understands instructions better after they have been read out-loud. A Kinesthetic/Tactile Learner remembers things that he can touch and feel. He constantly has some part of his body moving. She finds it hard to be still. He enjoys a lot of physical activity. She likes to touch and feel things. He is really good at tinkering and fixing things. She remembers things better when she has seen them written down. He is really good at reading maps, charts and tables. She understands instructions better when she can read them herself. He likes a lot of color and design. She can easily recall what she has seen. It is important to know that each of us uses a little of each learning style, but there is usually a dominant style that can be easily detected. When a child's dominant learning style is known, then he can learn the best way to approach a subject to help him remember. Also, as a homeschool mom, you can learn how to teach in a manner that he can understand better. As I have homeschooled and tutored, I have found that a child gains a lot of confidence by just knowing that there are different learning styles and into which style she belongs. It tends to give her encouragement that she is not "dumb" as she may have thought, but that she simply learns in a different way. And that she is not the only one who learns in this manner. Take some time to observe your children and see if you can discover what their learning style is. Both you and your children will benefit from the experience! Melissa Pinkley enjoys life with her husband, Wes. They learn a lot from their four children: Ben, Micah, Levi and Abigail. Homeschooling goes on 24/7 for the whole Pinkley family. They have been homeschooling for 6 years. The Lord is gracious and continues to help them follow Him.